Biennial, Odd year usage, 2 bedroom, 2 bath with lockout feature in the Enclaves. Annual Use, Platinum Season, 2 Bed/2 Bath. 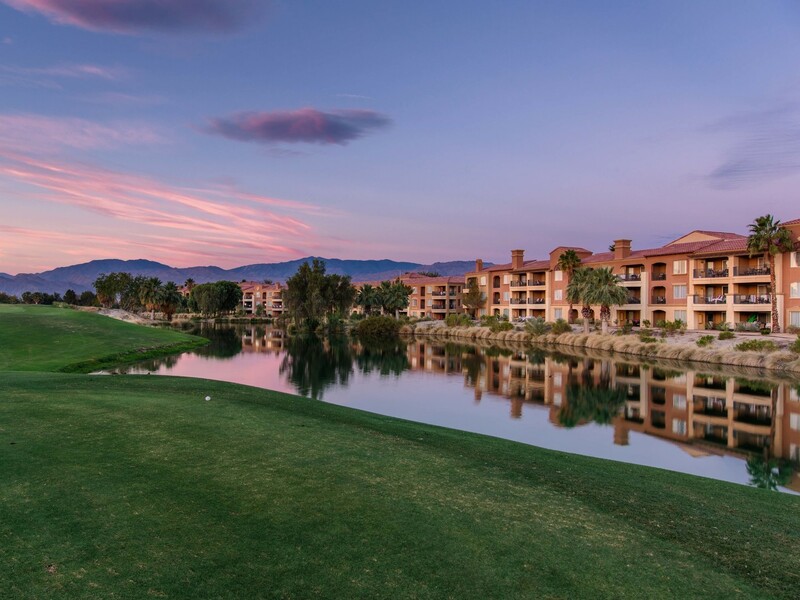 In addition to awe-inspiring mountain scenery, Marriott's Shadow Ridge timeshare resale villas in Palm Desert, California are set amid wonderfully sculpted fairways and crystal clear lakes throughout the professional golf course by Faldo Institute. Let Premier Timeshare Resale help you ensure an annual getaway to this fantastic destination. Buy or sell a timeshare resale today! Marriott's Shadow Ridge Villas offer one and two bedrooms, king-sized beds, soaking tubs, and the two bedroom villas offer a soda bed and bath. The one and two bedroom villas have a fully equipped kitchen, separate living and dining area, a washer and dryer, television, and DVD player. Each villa's amenities include: air conditioning, alarm clock, coffee maker/tea service, individual climate control, an iron and ironing board, foam, down, or feather pillows, a pull-out sofabed, an in-room safe, dishwasher, microwave oven, pots, pans, serving dishes, refrigerator with an ice maker, silverware, stove, toaster, toaster oven, wireless high speed internet, separate tub and shower, fireplace and cable/satellite TV. Marriott's Shadow Ridge is a smoke-free hotel, and no pets are allowed. Each villa also includes a private balcony or terrace, and can accommodate up to eight guests. Guest facilities include a BBQ/picnic area, beauty shop nearby, game room, vending machines, video games, and a gift shop/newsstand. There is a lot to do around Marriott’s Shadow Ridge timeshares for sale if you feel like being outdoors. Some of the many activities for you to choose from include the Chuckwalla Pool with waterslide, outdoor children's pool, whirlpool, biking trail, mountain biking trail, horseback riding, hiking nearby, jogging and fitness trails, table tennis, tennis, volleyball nearby, rock climbing, miniature golf, snow skiing riding the Palm Springs Aerial Tram, and bowling. There are many family activities to choose from as well at the MAZE center including arts and crafts, movie theatre, video arcade, pool table and ping-pong tables. Leave the comforts of your Marriott timeshare and visit Boomer's. At Boomer’s you’ll find bumper boats, a game room, go-karts, miniature golf, rock walls, and a snack bar. Also not far from your timeshare you’ll find Chuck E. Cheese's, Knott's Soak City Water Park, and the Children's Discovery Museum. If a golfer's paradise is what you are looking for, look no further. With eight different courses to choose from, you have your work cut out for you! You could start with the on-site course, 7,006 yards of Marriott's Shadow Ridge at Palm Desert with a par 71, 18 hole course. Once you’ve mastered your home course you can venture out and try Rancho Las Palmas with 6,097 yards, par 70, 18 holes; Desert Willow Golf Course with 7,056 yards, par 72, 18 holes; Marriott's Desert Springs Resort with 6,761 yards, par 72, 36 holes; PGA West Resort Course with 7,256 yards, par 72, 18 holes; La Quinta Resort with 6,805 yards, par 72, 36 holes; Landmark Golf Club with 7,229 yards, par 72, 36 holes; or the Trilogy Golf Club at La Quinta with 7,175 yards, a par 72, 18 hole course. If health and fitness is your aim, then you can visit any of the four spa's that are within eight miles of Marriott's Shadow Ridge Villas. The choices include Desert Springs, Marriott's Spa Las Palmas, Spa Helios, or Spa Esmeralda. Indulge in a variety of full body massages and other services. If you don’t want to go far for a quick workout, you could visit the Shadow Ridge Health Club at your Marriott’s Shadow Ridge timeshare resort complete with free weights and cardiovascular equipment. When hunger calls, do not worry, there are more than enough restaurants for you to choose from as well. The Chuckwalla Pool Bar and Grille, located on-site, has a casual atmosphere with sandwiches served for lunch and dinner. Cielo's Pizza Delivery will bring the pizza to you if you don't feel like leaving the comforts of your timeshare villa. Head out to Nick Faldo's Bar and Grille after a long day on the greens for lunch or dinner. The Market Place is always an easy stop with groceries, sundries, a continental breakfast, gift items, and an overall casual scene to grab a quick breakfast, lunch or dinner. If you’re ready to have night out, away from Marriott’s Shadow Ridge resort, there are plenty of choices with a variety of cuisine from Italian to Japanese in the Palm Springs area. Las Casuelas Terraza, will tantalize your tongue with tastes of traditional Mexico. Sherman's Deli and Bakery, keeps everyone happy serving New York and Chicago deli favorites for breakfast, lunch, and dinner in a casual setting. The Chop House is an excellent option if your looking for a more upscale atmosphere. Shirt and slacks are required if you plan to sink your teeth into their seafood and steaks. Mikado, at Desert Springs, offers Japanese flavors. Choose to watch the chep prepare your meal fresh before your eyes Teppan-Yaki style or visit the sushi bar. If you’re in the mood for a romantic dinner, sample some flare from the Tuscany regions of Italy by visiting Tuscany's Ristorante at Desert Springs. There you’ll find flavorful, Northern regional cuisine in a fine dining atmosphere. Whether you would like to buy or sell a Marriott's Shadow Ridge timeshare Premier Timeshare Resale can help you. We do not charge upfront fees and will search all available timeshares for sale to find you the timeshare resale deal you want at the price you want to pay. See available Marriott's Shadow Ridge timeshares for sale. Please contact us wtih any questions you may have about buying or selling a Marriott’s Shadow Ridge timeshare resale.